Indie Exclusive Vinyl, White with Gold Splatter. After spending years as a major presence in Brooklyn’s thriving music scene, Frankie Rose relocated to her familial home of Los Angeles for 18 months with the intention of establishing yet another moment in her storied indie rock métier. Gradually, she found herself short on sleep, funds and optimism. Towards the end of her time spent in Los Angeles, Frankie reached out to Jorge Elbrecht (Tamaryn, Gang Gang Dance, Violens) and began sketching what became the basic outline of what felt like a new album. Then, rather fortuitously, Frankie ended up back in Brooklyn with the realization that "in the end, I’m on my own. I have to do these things on my own." The months that ensued meant basically working with no budget and finding ways to record in-between days. This time enabled Frankie to experiment musically with a variety of people that ultimately changed the way she worked. "I feel like I am finally free from worrying about an outcome. I don’t care. I already lost everything. I already had the worst- case scenario. When that happens, you do become free. In the end, it’s about me rescuing myself via having this record." Barry says: Soaring atmospherics, tastefully layered vocal stacks and eminently singable chorus' all over the place. 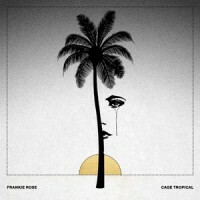 This is a brilliantly effervescent and enjoyable ride through retro synthesis and top-down LA sunshine from former Dum-Dum / Vivian Girl, Frankie Rose.